Great for parties and other events! Finger lights come blister packaged! People of all ages will enjoy! 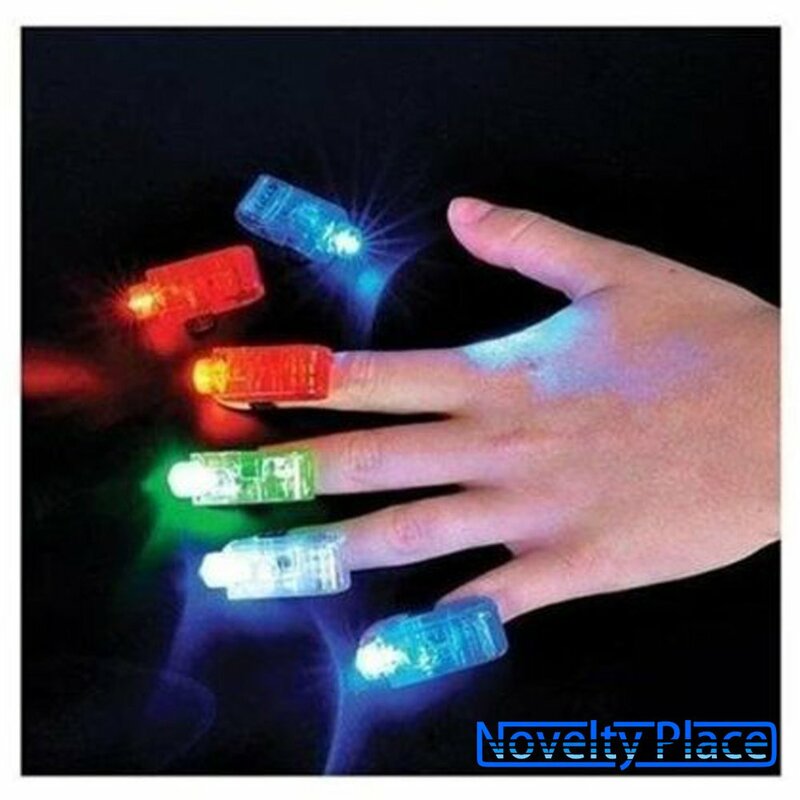 Size: 80 Pcs These finger lights have always been nothing but pure fun for all those thatuse them. The finger lights come in blister packaging with four finger lightsin each package. You will receive a total of twenty total blister packagedfinger lights which will give you a total of 80 finger lights. You willreceive 20 white, 20 blue, 20 green and 20 red finger lights.